This year’s White House Correspondents Dinner included stellar representation from G rambling State University. 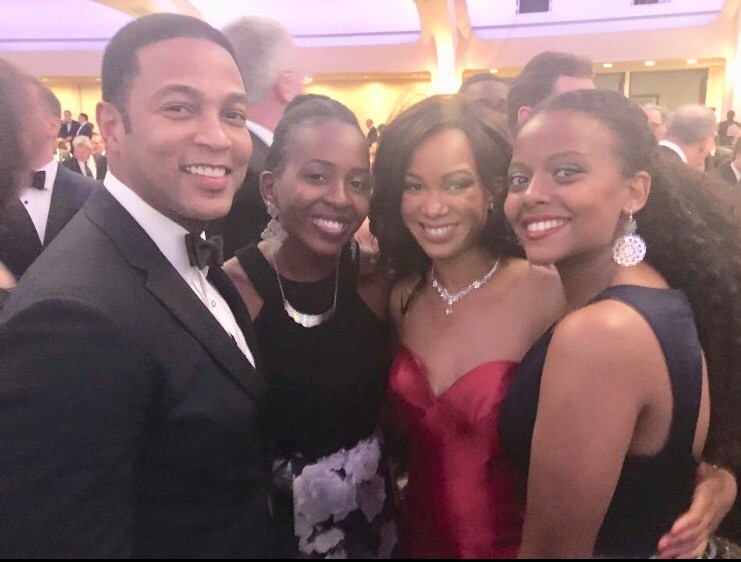 As one of two winners of the Thomson Reuters/White House Correspondents’ Association Trust in Reporting Scholarships, Grambling State graduate student Tayler Davis received an invite and attended this year’s White House Correspondents Dinner. Davis, an aspiring television news reporter from Baton Rouge, LA is in her first year of graduate studies in GSU’s Department of Mass Communication. A graduate of Dutchtown High School in Geismar, LA and the University of Louisiana at Monroe, Davis hopes to one day become an anchor and White House correspondent and she’s well on her way. She is the first designee for the $7,000 award which is one of several highly competitive scholarship efforts and training programs offered by the news service. “It is beyond big for Grambling to be a part of this effort,” said Dr. Robbie Morganfield, who teaches graduate courses and serves as head of GSU’s Mass Communication department. Morganfield, whose career includes services as a political reporter and editor for several of the nation’s largest newspapers, is launching a Public Affairs Reporting Institute this summer to provide Davis and other students classroom and practical experience. Davis is an active member of National Association of Black Journalists, volunteers at KEDM – North Louisiana’s NPR station, and has served as a moderator for a community town hall forum sponsored by the Grambling Department of Mass Communication and the City of Grambling. While enrolled at ULM, Davis worked as a reporter for the campus-based Hawkeye newspaper and the campus public radio station. GSU Spotlights highlights the accomplishments of students, faculty, and alumni successes throughout the GSU Community. To nominate a student or alumni or provide feedback on GSU Spotlights, email the Grambling State University Office of University Communications at mediarelations@gram.edu. This entry was posted in awards, gramstory, studentlife and tagged academics, award, grambling state, mass communication, politics, scholarships, spotlight on May 7, 2018 by Jovan Hackley. 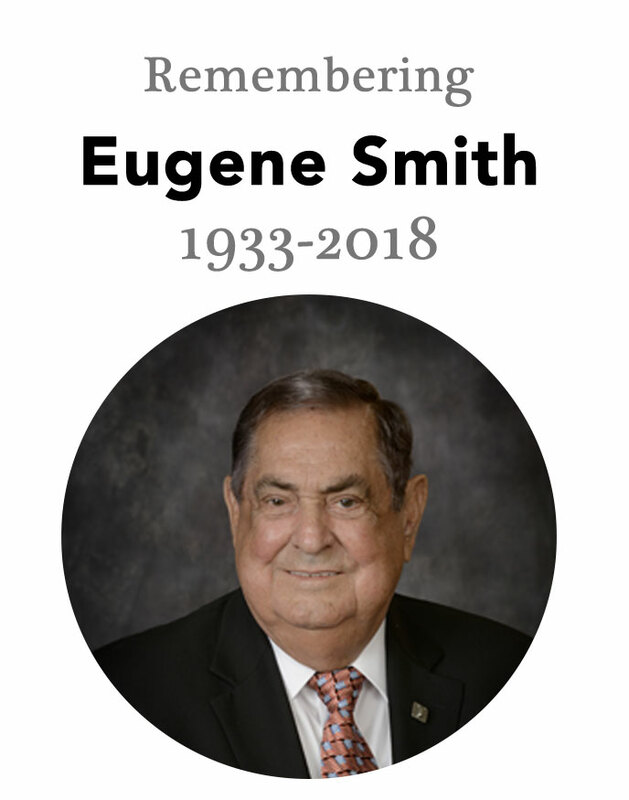 After battling a lung-illness, on April 23, 2018 long-time Arcadia Mayor Eugene Smith passed away leaving an extensive legacy of public service and achievement in North Louisiana. 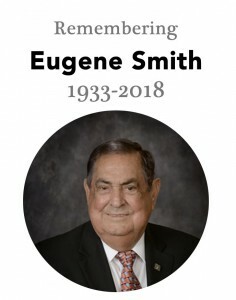 Smith’s work included serving as Mayor of the town of Arcadia for sixteen years; serving on the Louisiana Municipal Association and Louisiana Entrepreneur and Small Business Commission; and hiring the Bienville Parish town’s first black attorney. “Mayor Smith was an exceptional leader who proudly served all of the people of Arcadia and the neighboring communities with compassion and a true concern for improving their lives,” said Governor, John Bel Edwards in a statement. Some of the lesser-known contributions of Smith’s legacy are his contributions to Grambling State and its surrounding communities. Those contributions include supporting the construction and opening of the Eddie G. Robinson Memorial Stadium, the Grambling State University Legends, and collaborating with leaders from Grambling State and surrounding communities on a number of initiatives. Grambling State University extends condolences to the family, friends, and communities of Mayor Eugene Smith. This entry was posted in gramstory and tagged community, grambling state, leadership on April 30, 2018 by Jovan Hackley. Since its founding in 2008, Lyrical Quest, a student group at Grambling State University, has offered an outlet for student artists. Singers, poets, rappers, and musicians on campus perfect their craft and foster their skills performing everything from original pieces to covers of their favorite artists. In honor of National Poetry Month, GSU would like to spotlight two talented poets from Lyrical Quest. Spotlight Question: How Do You Get the Courage to Perform? “Just have fun and remember why you’re doing it, just to tell your story and tell your truth,” exclaims Sherrell Martin, an Elementary Education major from Bogalusa, LA, and noted spotlight artist of GSU’s Lyrical Quest. Spotlight Question: Why is Poetry Important to You? Kadedra Ashton, a sophomore Psychology major from Shreveport, LA says, “Poetry gives me a better outlook, and it lets me express myself to people who want to say it, but they don’t say it”. Congratulations ladies. Continue perfecting your craft and sharing your truth through performance. National Poetry Month was established in 1996 by the Academy of American Poets. After the observed success of National Women’s and Black History month; the Academy was inspired to create a month to bring awareness and appreciation to the art of poetry. Today, National Poetry Month is the most popular literacy celebration in the world. This entry was posted in studentlife, video and tagged grambling state, gsuspotlight, lyricalquest, poetry, spotlight, studentlife, video on April 27, 2018 by Jovan Hackley. The end of the semester is here! While you’re working to retain information, don’t forget your health. Here are five tips to help you, my fellow students, ensure that our last few days on campus are stress free. Remember that our regular class schedule ends on Wednesday, April 25, 2018. Be sure your assignments are in and reach out to professors about potential extra credit. Reading period starts Thursday, April 26, 2018 and ends on Friday, April 27, 2018. Take advantage of it. Form study groups and link up with other students who know your class subjects. Finals begin promptly at 8:00 a.m. on April 30, 2018. Tardiness can tank your grade. So, don’t risk it. Be mindful of the dining hours in the cafeteria. During finals’ week, Dining Services will be open for normal service hours. After May 5, the cafeteria will be on the weekend schedule. Brunch will be served from 10:30 a.m. to 1:00 p.m. and dinner will be served from 4:30 p.m. to 6:00 p.m.
Lastly, the student shuttle bus will transport students to the airport from April 30 to May 4. Make your reservation before April 30 to ensure you make your flights. Thank you to our Student Government Association and University Communications for this first edition of Tiger Tips. If you like the video, follow @Grambling1901 on Facebook, Twitter, and Instagram to let us know. This entry was posted in sga, studentlife, tigertips, video and tagged adarian, grambling state, sga, student government, tigertips, tips, video, yalisha on April 24, 2018 by Jovan Hackley.